Tax + shipping will be calculated at checkout. Model is 6'2", 205lbs and wears One Size. Email Please also send me news and promotions. I.E. letter arrangement, capitalization, punctuation, etc. Everyday free standard shipping on orders $150+ within the Contiguous United States. Hassle-Free Returns and Exchanges in 30 days after the purchase. Get the full details on Returns & Exchanges. If you are looking for the ultimate warmth and coverage, the Hooded Bathrobe is the way to go. Just pull the hood right over your head and be dry within minutes. 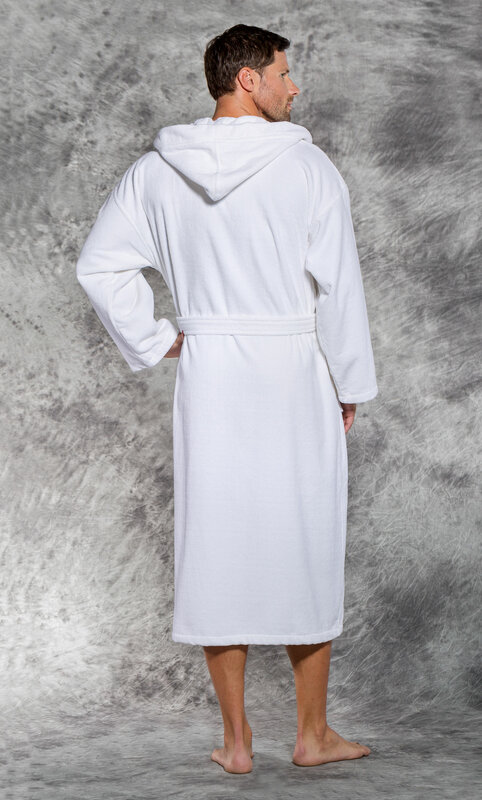 Our Terry / Velour Hooded bathrobes are woven with 100% Quality Turkish Cotton. The absorbent interior is 100% looped Terry; The luxurious exterior is 100% brushed Terry, also known as Velour. 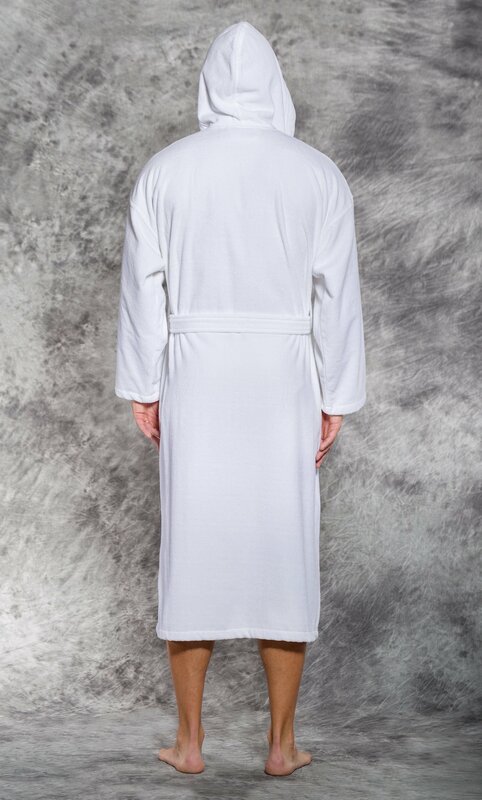 The Terry / Velour bathrobes are just as absorbent as the Terry alone, with a hint of a luxury lifestyle. 14 oz. per sq. yd. / 3 lb. Machine wash cool, separately. Non-chlorine bleach. Tumble dry low.